Why Should You Choose HiTechnique as Your IT Partner? Investment in industry standards: We partner with the industry leaders, including Microsoft, HP, VMware, and Citrix. Our technical team is also certified in leading technologies, including Microsoft, HP, and more. This allows you to rest assured knowing our certified and experienced IT experts are willing and ready to respond to your most urgent and challenging needs! 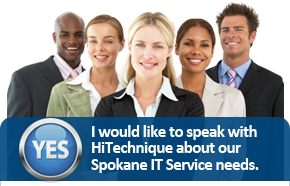 For more information, or to schedule a free consultation, give us a call at (509) 326-4500 or send us an email at info@executech.com. HiTechnique looks forward to discussing how we can save you time and money!